Lindsay rushed for 95 yards and a touchdown on 18 carries while adding 17 yards on three receptions during Sunday's 30-23 loss in Kansas City. Lindsay will start Sunday's game in Kansas City after Royce Freeman (ankle) was ruled out, Nicki Jhabvala of The Athletic reports. 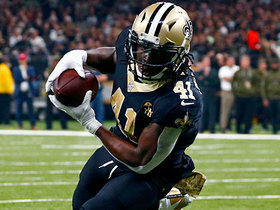 Analysis: There won't be many hurdles in Lindsay's pursuit of touches with fellow rookie running back Freeman on the inactive list this weekend. Sure, Devontae Booker will be available as a change-of-pace option, but Lindsay will handle the bulk of the runs between the tackles and in the red zone. 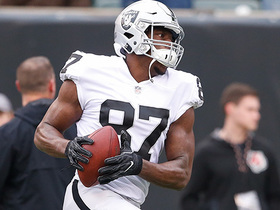 Through the first seven games of his career, Lindsay ranks third in the NFL with 5.8 yards per carry and has scored three touchdowns on his 90 touches. 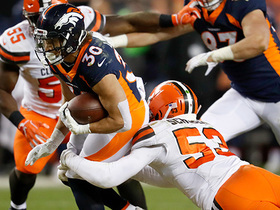 Lindsay rushed 14 times for 90 yards and a touchdown while also securing his only target for six yards in the Broncos' 45-10 win over the Cardinals on Thursday. He also returned two kickoffs for 38 yards and ran back three punts for 23 yards. 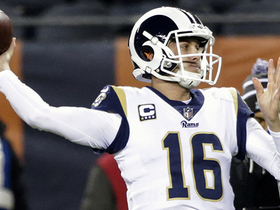 Lindsay rushed four times for 18 yards and caught six of his seven targets for 48 more yards in Sunday's 23-20 loss to the Rams. Analysis: The Broncos were completely stifled on the ground, gaining just 60 yards on the day, so they made up for it with dumpoff passes to Lindsay. As a result, the 24-year-old saw his fewest carries since Week 3 while getting a season-high seven looks through the air. The rookie has at least 66 total yards in all but one week this season, and he'll look to keep producing Thursday at Arizona. 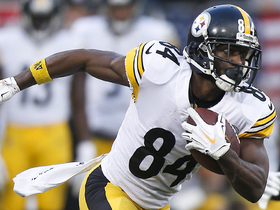 Lindsay rushed for 61 yards on 12 carries and added 20 yards on three catches during Sunday's 34-16 loss at the Jets. Lindsay rushed 12 times for 69 yards and a touchdown and caught both of his targets for 10 yards in Monday night's 27-23 loss to the Chiefs. 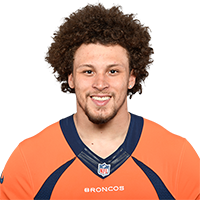 Lindsay carried the ball four times for 20 yards during Sunday's 27-14 loss in Baltimore before being ejected in the second quarter, Kyle Fredrickson of The Denver Post reports. Analysis: Lindsay got into a scrum at the bottom of a fumble pile and appeared to have taken some jabs at the Ravens. His ejection was a killer for Denver, which has leaned heavily on the rookie after his 213 total yards through the season's first two games. Don't expect the showing of immaturity to place Lindsay too firmly in the doghouse. 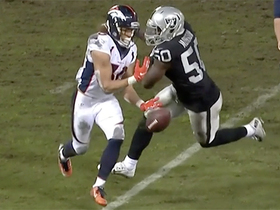 The Broncos depend on the rookie, not only as a runner and pass-catcher, but as a returner on special teams. Lindsay rushed 14 times for 107 yards and added four yards with his lone reception in Sunday's 20-19 win over Oakland. 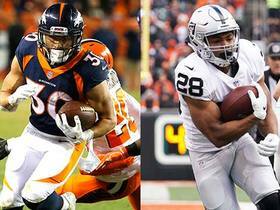 Analysis: Lindsay did not start but out-touched all other Bronco running backs, 15-11, on the day anyway. He broke a 53-yard run on the Broncos' first drive of the second quarter and began to dominate the backfield touches after that. The 24-year-old ceded goal-line work to Royce Freeman, however, and the latter took advantage by finding the end zone for a third-quarter score. The two should continue to share the load Week 3 at Baltimore. Lindsay had 15 carries for 71 yards and caught two of three targets for 31 yards and a touchdown in Sunday's 27-24 win over Seattle. 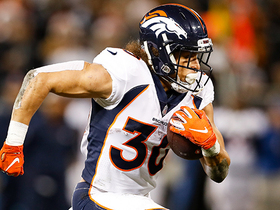 Analysis: Lindsay, an undrafted rookie from Colorado, had a nice preseason but most did not expect for him to see 17 touches in Week 1. Meanwhile, starter Royce Freeman also had 15 carries for 71 yards, but was not used at all in the passing game. Devontae Booker appears to be the odd man out, at least for the moment, getting just four touches for 15 yards Sunday. Freeman is the power back and Lindsay is a speedster so the Broncos might have their own version of "Thunder and Lightning." Lindsay appears to have a roster spot locked up, Nicki Jhabvala of The Athletic Denver reports. Analysis: The undrafted rookie out of Colorado has made a strong impression throughout training camp and the preseason, even getting some run with the first-team offense in Friday's preseason game against Washington. He took advantage with five carries for 31 yards and one catch for 18 yards, in addition to contributing on special teams. The 185-pounder could push for a pass-catching role out of the backfield if Devontae Booker and Royce Freeman struggle in the passing game early in the season. Lindsay recorded two carries for seven yards and caught three passes on four targets for 40 yards and a touchdown during Saturday's preseason loss against the Vikings. Lindsay is listed as the No. 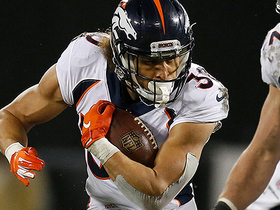 1 kick returner on the Broncos' depth chart, Ryan O'Halloran of The Denver Post reports. Analysis: While Lindsay is listed on the bottom of the running back depth chart, his spot as the team's top kick returner could give him an edge over David Williams, who is currently listed as the No. 4 running back, when it comes to final roster cuts given Lindsay's potential contribution on special teams. Analysis: Lindsay wasn't even invited to the NFL Scouting Combine but had a prolific career at Colorado. The Broncos invested draft picks in a pair of big backs -- Royce Freeman and David Williams -- and also have Devontae Booker returning, but there are no set roles at the moment. Lindsay might not have the size to be an every-down back in the NFL, but his shiftiness and receiving ability could create matchup issues for linebackers in the passing game.